Sweet Adelines International (SAI) is a highly respected worldwide organization of women singers committed to advancing the musical art form of Barbershop harmony through education, competition and performance. This independent, nonprofit music education association is one of the world's largest singing organizations for women. The Young Women in Harmony program offers music educators a means of including the study and performance of Barbershop harmony in school music programs. The aim is to provide materials, training and performance opportunities for young women and to foster appreciation for the American musical art form of Barbershop harmony. Various regions or choruses within Sweet Adelines organize festivals and school presentations each year. Free educator kits are provided to music educators. Photo courtesy of Lilley Photography (c) used with permission. 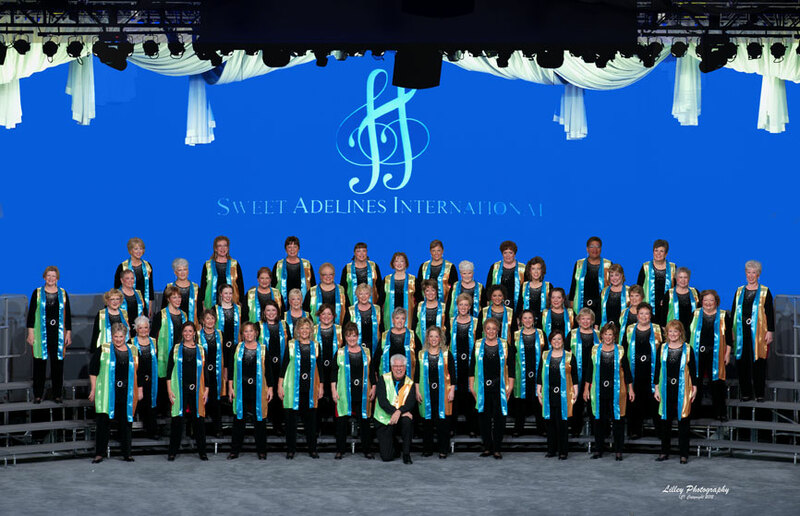 Sweet Adelines International is a worldwide organization of women singers committed to advancing the musical art form of Barbershop harmony through education, competition and performance.